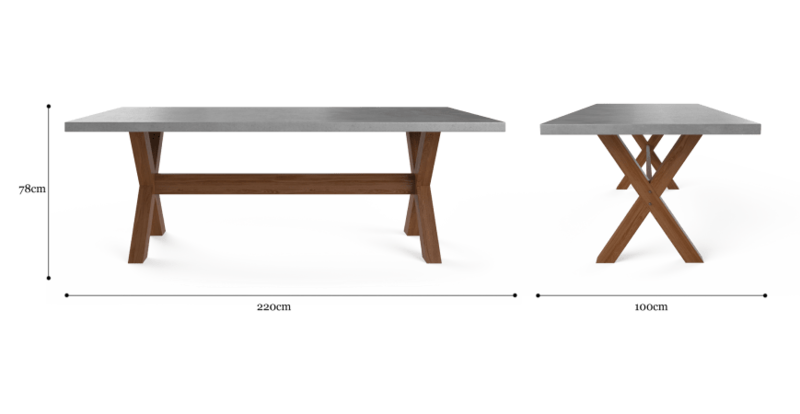 High-quality hand-selected materials including concrete and acacia wood combine for the Pampero Dining Table. 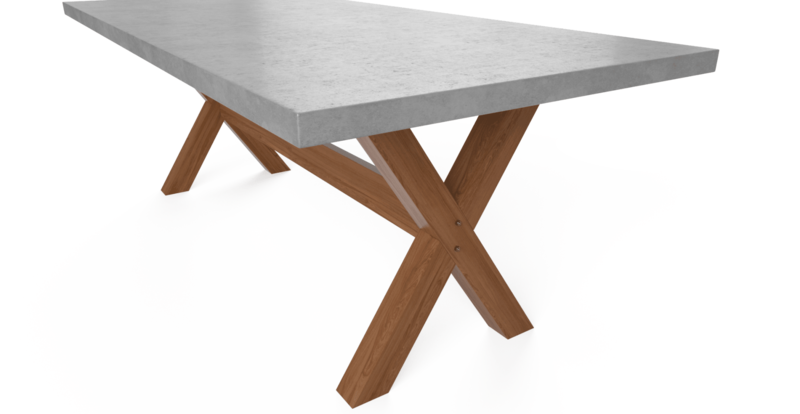 It's a stylish designer piece with an industrial edge. Seen here with the Zoe 2 x Dining Chair. With a bold silhouette, the Pampero has been built to last. The versatile look means it's easy to match to any interior style, from contemporary to classic. 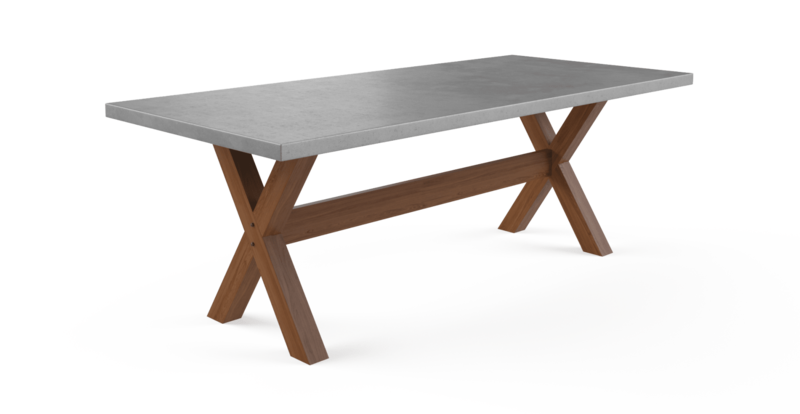 See more designer dining tables on offer from our range. 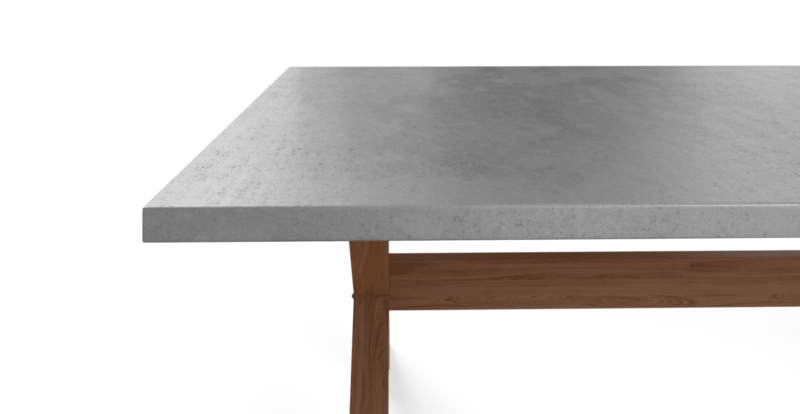 The surface of the Pampero is made from solid concrete that protects it against daily use. The spacious area can comfortably seat up to eight people. Match it with a range of dining chairs from Brosa, in a variety of styles. Careful attention to detail has been paid by our team of expert craftsmen and women. 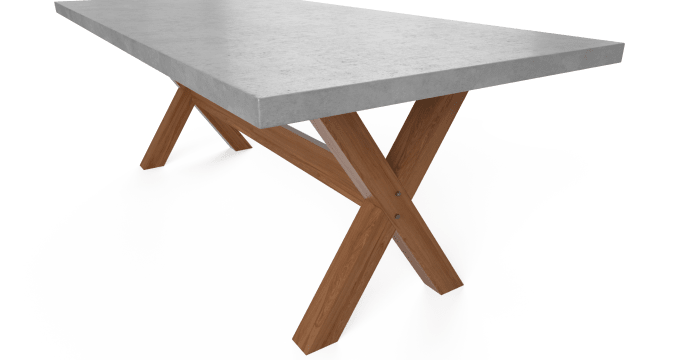 Each table features its own unique markings in the strength and quality tested wooden frame. 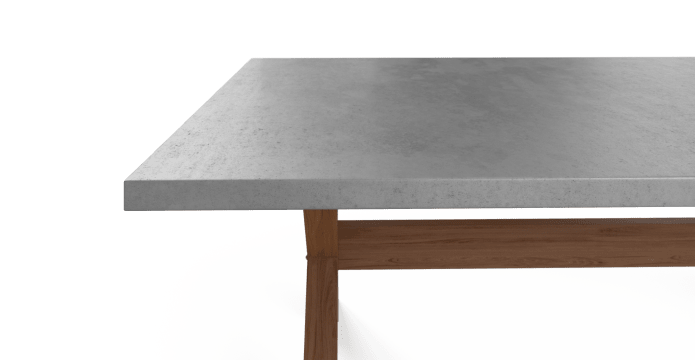 What is the length of the middle bar and how far is it from the surface of the table? 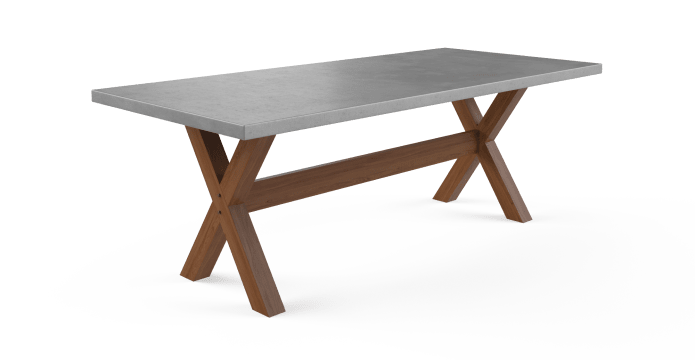 What is the distance from the legs to the end of the table? Oh my god we are always recommending Brosa to our friends! They all love our furniture we’ve decked out our apartment with.